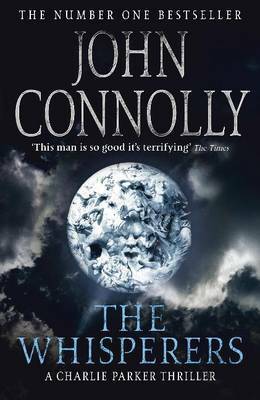 A new Charlie Parker book from John Connolly is always looked forward to and this one was no exception. He's an excellent writer and Parker is an interesting detective. This book opens with Charlie estranged from his wife and daughter, and struggling to make a living from his PI work, making ends meet by working in a local bar from time to time. When local businessman Bennett Patchett contacts him and asks him to look into his son's death he's not really in a position to say no. But when Charlie takes a first look there's no real mystery to Damien Patchett's death. He committed suicide not long after he returned from service in Iraq, and that's not all that unusual among soldiers. However, when Charlie realises that several of Damien's fellow soldiers have also died recently then he takes another look. Soon it becomes obvious that the soldiers were involved in some kind of smuggling operation and that their cargo is a strange and terrifying one. Charlie needs to find the cargo before the elusive Herod and his shadowy companion, and to do that he might need to work with someone that scares him more than any other. And Charlie doesn't scare that easily! Connolly manages to walk a fine line here between a crime novel and a work of horror fiction. There's plenty of good solid plot to keep crime fans happy, but just enough of the supernatural stuff for horror fans to like this too. Charlie Parker is a fantastic character, a man with an understanding of the evil that men can do, and a mission to save those innocents that get caught up in that world. Violence and mystery seem to be drawn to Charlie, either by his reputation or by some other mysterious magnetism and in this book he certainly has his work cut out to keep ahead. The supernatural side is well done and pretty convincing, even for an confirmed sceptic like me. Connolly marries the real and the fantastic well to produce a fine crime novel that's pacy and gripping and at the same time raises questions about society and morality to keep the reader's mind working. A great read and one that I'd heartily recommend.